Roger W. Waugh, Sr. – R.W. Bro. Waugh is our current Grand Marshal, having served in that capacity since 2014. He is the brother of our current Grand Master, M.W. Harvey J. Waugh; naturally, the Grand Master was pleased to announce his brother’s candidacy. Roger is running unopposed this December. 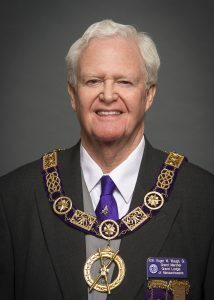 It is a Grand Lodge tradition that the Grand Marshal for a Grand Master serves as the next Senior Grand Warden when that Grand Master retires from office. He was raised in Wyoming Lodge in Melrose on December 28th, 1963. He served as the Worshipful Master of Wyoming Lodge in 1972-1973. Before serving as Grand Marshal, his first Grand Lodge office was as the Grand Standard Bearer for the 2005 Masonic year under M.W. Jeffrey. B. Hodgdon. Sean E. LeBlanc – R.W. Bro. 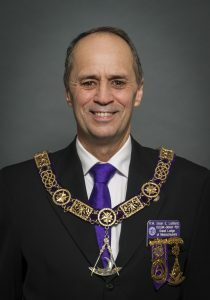 LeBlanc most recently served the Grand Lodge as District Deputy Grand Master for the 20th Masonic District in 2014 and 2015. He is a member of Marine Lodge in Falmouth. He was raised on March 3rd, 2001 in a one day class. Sean served as Worshipful Master of Marine Lodge in 2008-2009. Prior to serving as District Deputy, Sean first served the Grand Lodge as Grand Standard Bearer in 2013. Robert C. Schremser – R.W. Bro. Schremser served the Grand Lodge as District Deputy Grand Master for the 24th Masonic District in 2010 and 2011. He is a member of Oxford Lodge, where he was raised on November 1st, 2003 in a one day class. Robert served as Worshipful Master of Oxford Lodge in 2007-2008. 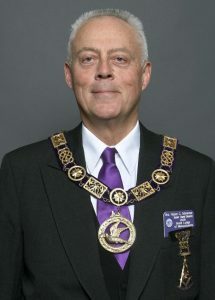 Prior to serving as District Deputy, Robert first served the Grand Lodge as Senior Grand Deacon in 2009. Be sure to welcome each of these brethren in their travels over the next three months! We look forward to their continued service to Freemasonry.